While Spring is still a way off in Southern Ontario I am itching to try out this old pottery form. Two of them are from Colonial Williamsburg, Virginia and one likely from Southern Ontario. From the Williamsburg examples — each slightly different in glazing and detailing — you can tell the “bottle” is a pitcher based form. 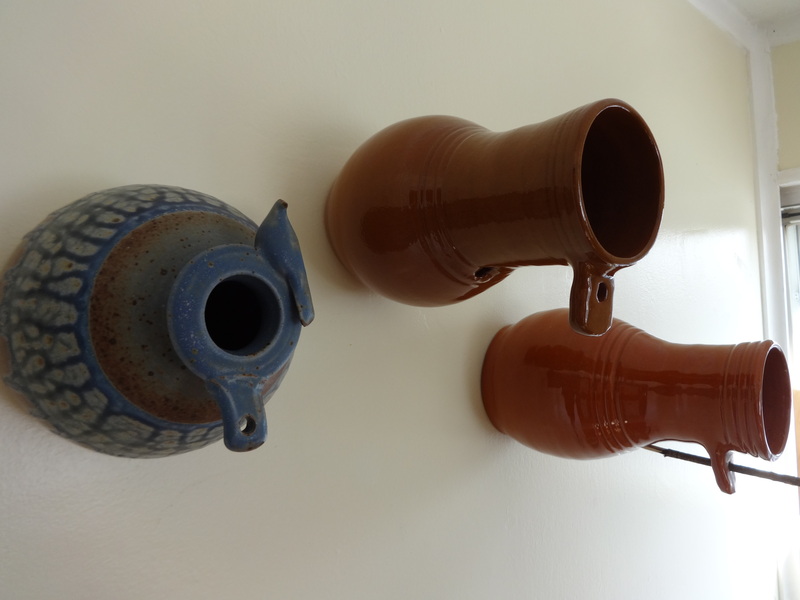 It likely comes from a tradition of hanging broken pots under the eaves as bird perches and nests. This type of pot invention when used around barns and houses was an effective way of keeping flies and mosquitoes under control — the bane of families as well as of livestock. They are sometimes referred to as Martin pots. I am not sure they if they are a purely North American form but the original bottles seem to have been produced and sold in some volume across the American eastern seaboard. The Williamsburg pots are mid-18th c. reproductions manufactured by the Williamsburg Restoration Foundation from shard evidence. One of them is dated 2010 and the other appears to be earlier. Williamsburg started reproducing Colonial items in the late 1930s. 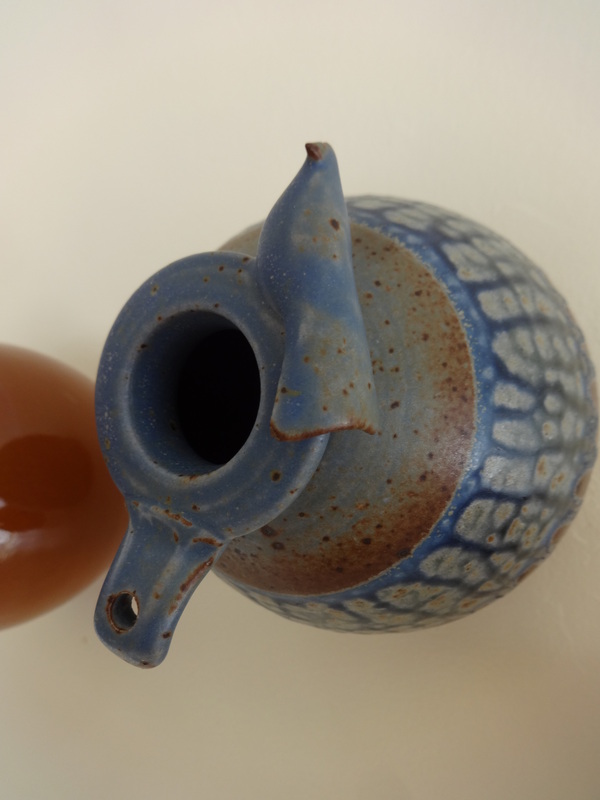 Both bottles have simple transparent glaze with lightly pronounced ring thrown decoration to mouth and shoulder. Each have a V shaped opening in the base to allow for wall mounting. The Ontario bird bottle is possibly from the 1980s or later. The same form but with a more-vase-than-pitcher approach. Quite without the minimal practical production of the original Williamsburg bottles and with opposite glazing, ornamentation and material. It speaks to a vastly different set of production circumstances, values and ideology than those of 300 years earlier. What is interesting, however, is that though we don’t share the same world, the Williamsburg replicas and the Ontario example are both part of an idealization of an earlier, simpler and less urbanized North American history — each in their own way a reproduction of that idealization. Information on the Ontario attributed pot would be appreciated.